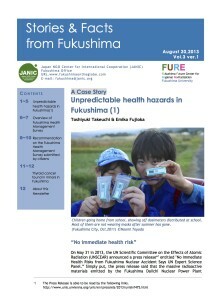 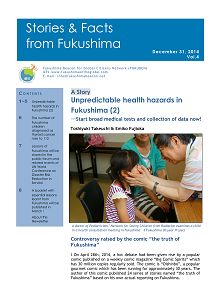 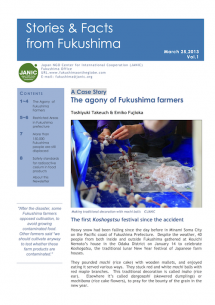 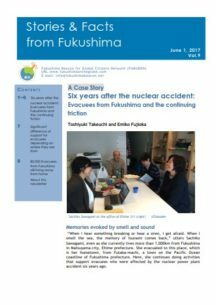 Stories & Facts from Fukushima is a newsletter presenting real stories of Fukushima and its background after the nuclear disaster of Fukushima No.1 Nuclear Power plant happened on Mar.11, 2011. 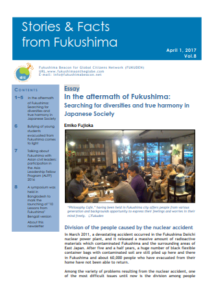 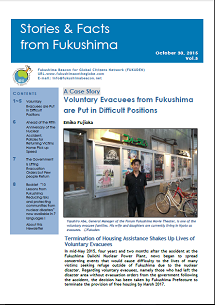 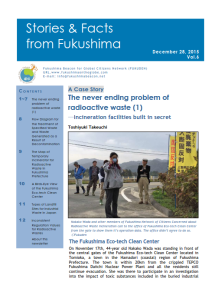 This newsletter aims to introduce present situation of Fukushima people (both living inside and outside Fukushima) and to explain the facts behind their life. ・Booklet “10 Lessons from Fukushima: Reducing Risks and Protecting Communities from Nuclear Disasters” now available in 7 languages! 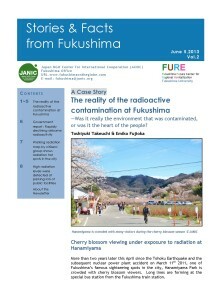 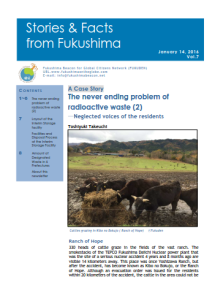 ・A booklet with essential lessons learnt from Fukushima will be published in March !